The Chocolate Albatross is a fast-flying Pierid that has been recorded in Singapore as a rare seasonal migrant. 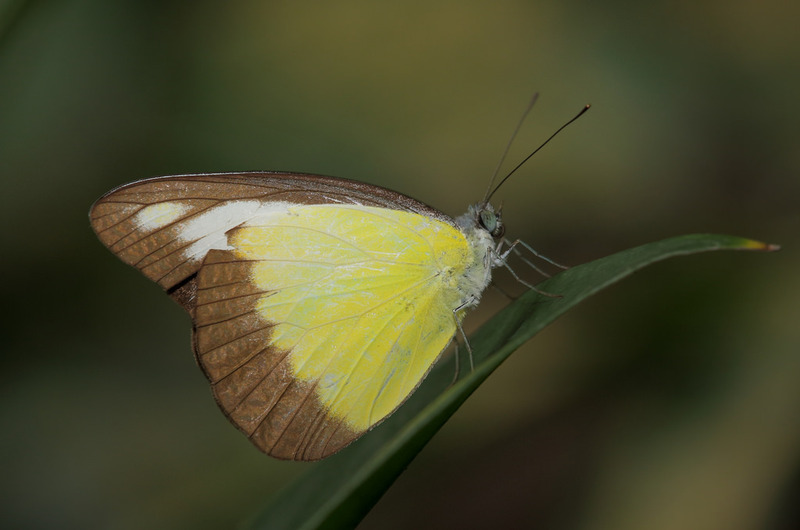 At this point in time, it has not established a resident colony in Singapore yet, but the species is regularly sighted almost every year during the peak butterfly season in the region. In Malaysia, the species is common and can even be described as abundant during certain times of the year. This year, in 2014, there have been more sightings of this species in many locations around the island - from urban areas to nature reserves. Many males and females have been sighted over the past weeks in late March and April. Eggs of the Chocolate Albatross have also been observed on its host plant - Crateva religiosa at an urban park. Are we observing the beginnings of the naturalisation of this species in Singapore? We'll have to wait and see. This shot of a male Chocolate Albatross was taken by ButterflyCircle member Koh CH last weekend.